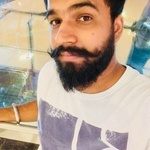 I am Senior professional Wordpress developer/designer having excellent working experience with all of its themes(Genesis, Avada, Enfold, Divi etc) and plugin(WooCommerce, Buddypress, S2member, Amember, Aweber, Social mediaetc). carried out the job to order with no issues. I hope we will work again.